Typical Montenegrin Rural Landscape. Village Houses In The Fields,.. Stock Photo, Picture And Royalty Free Image. Image 53295798. 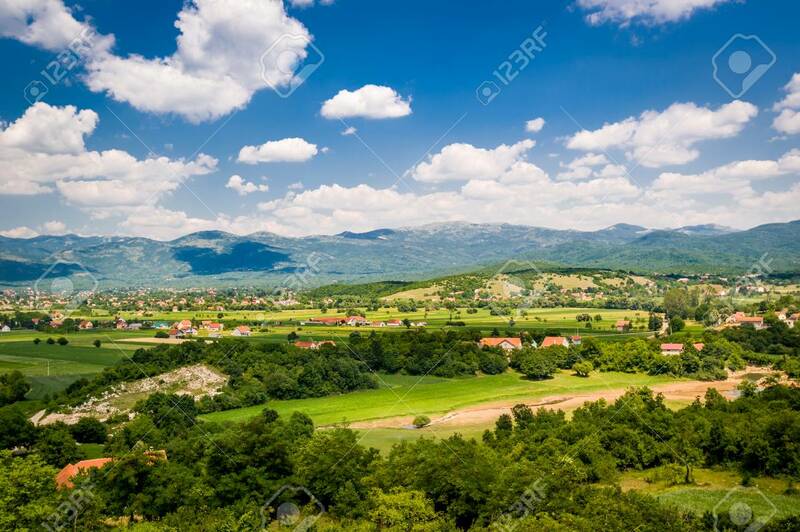 Stock Photo - Typical Montenegrin rural landscape. Village houses in the fields, small river and mountain range on a background. Niksic, Montenegro. Typical Montenegrin rural landscape. Village houses in the fields, small river and mountain range on a background. Niksic, Montenegro.